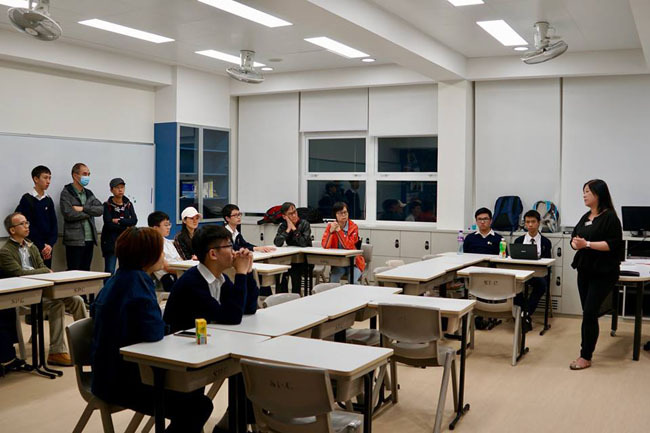 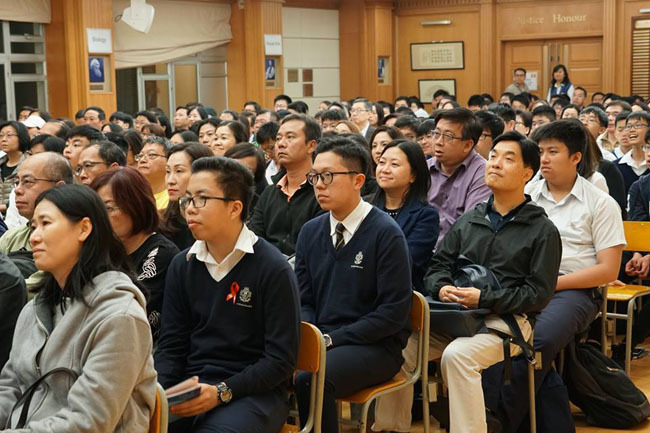 Last Friday evening, many parents, alongside their children in Form 3, attended the talk on “The Choice of Subjects at Senior Secondary Level” in the school hall. 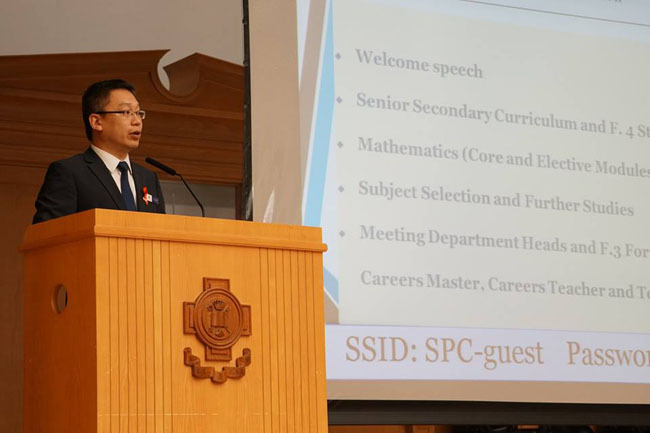 During the plenary session, Vice Principal Mr. Alan Yu spoke on the allocation mechanism for elective subjects at SPC, followed by Mathematics Panel Head Mr. P.C. 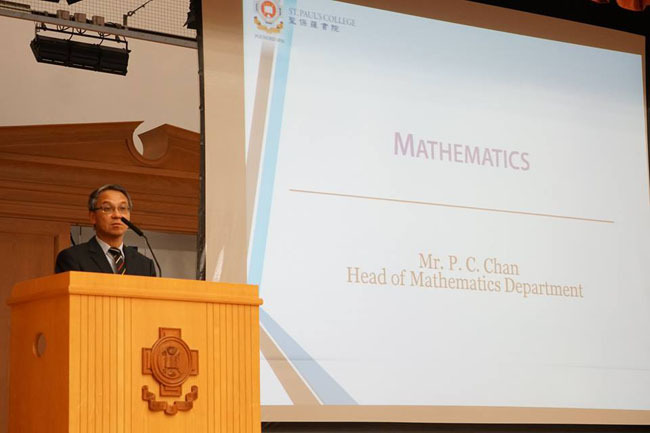 Chan’s brief introduction of the DSE mathematics extended modules, and then, Mr. C.L. 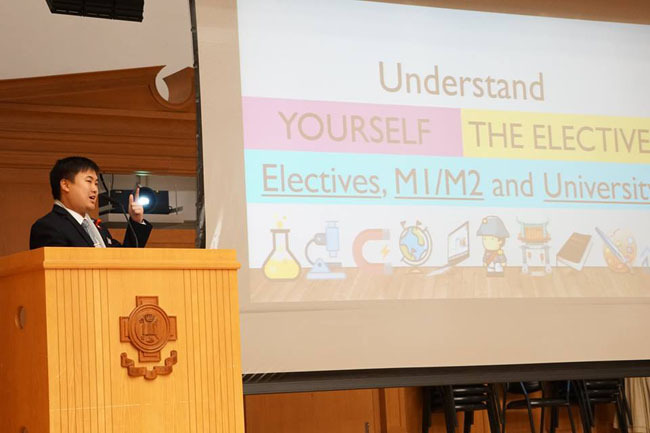 Lo’s tips for students on how to choose the suitable electives. 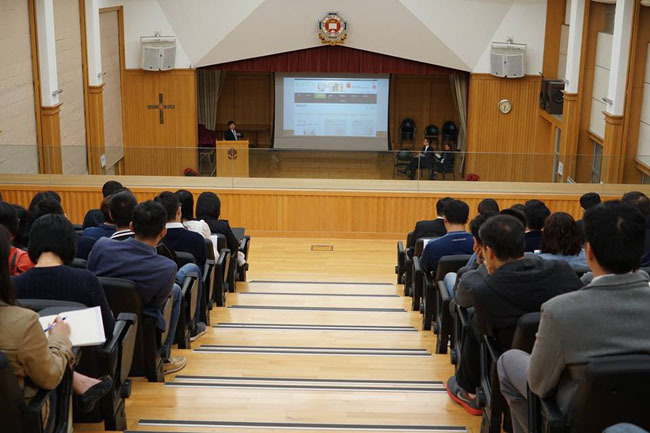 The Form 3 parents and students also had the opportunity to find out more about individual subjects from heads of departments and senior form students in the consultation session that followed. 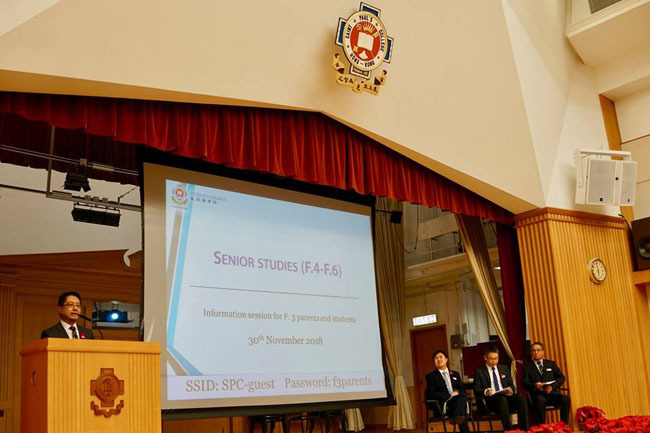 We trust that the resources from this talk, together with subsequent guidance from our teachers and advice from the Careers and Life Planning Team, will benefit and assist our Form 3 students in planning and mapping out a suitable study pathway for themselves.